Have any of you seen "God's Not Dead" yet??? Hubby and I are looking to see it but haven't been able to as of yet. I just might use this code to get it for FREE from Redbox! 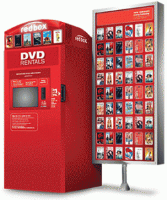 :) To get the FREE Redbox DVD Rental enter code: 5HNB7612 -valid today only online (not at the kiosk). You can use this code up to 5 times on a credit card that has been used at Redbox, and 3 times if it’s a new card. Enjoy!